PV Sindhu India's star badminton player achieved her career-best Badminton World Federation (BWF) women's singles ranking as she jumped to number five in the world. This is the first time that Sindhu has broken into the top five. The Rio Olympics silver medallist, who previously held the sixth spot, edged ahead of Japan's Akane Yamaguchi in the latest rankings. Sindhu, who has 9399 points, has never before been part of world badminton's top five. Saina Nehwal, at No. 9, is the only other Indian in the top 10. Tai Tzu Ying of the Chinese Taipei tops the rankings, while Spaniard Carolina Marin, the only non-Asian in the top 10, was second. Saina Nehwal is the only other Indian to feature in the top 10 of the latest BWF rankings at ninth. Saina had a rather forgettable year in 2016 as she had been out for most of the year due to a knee injury. Sindhu, in contrast, had probably the best year of her career as she won the Silver Medal at the Rio Olympics. In the process, she became the first Indian woman to win an Olympic silver medal and only the second Indian to win a badminton Olympic medal after Saina. Sindhu then went on to win the Chinese Open, her first ever Super Series triumph. She then almost got a second Super Series title on the trot but went down in the final of the Hong Kong Open. 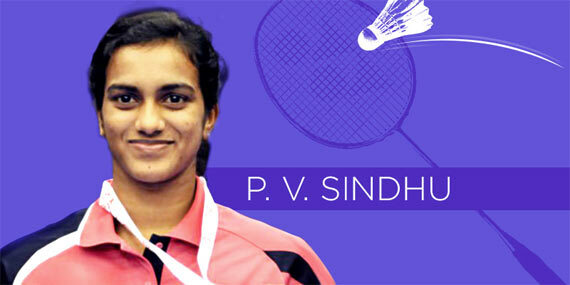 Sindhu has most recently won the Syed Modi International Grand Prix.